PratSphere: Brace yourself, Storme is coming! 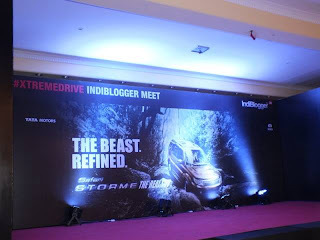 It was my first ‘unforgettable’ IndiBlogger meet powered by TATA Safari Storme. 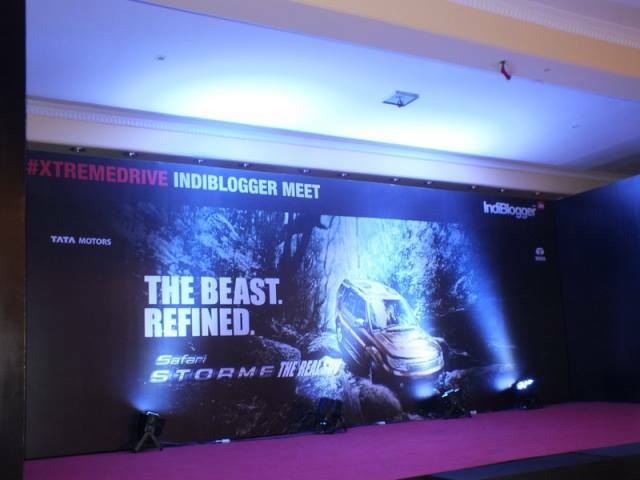 I was waiting to attend a meet and my dream came true when IndiBlogger announced this meeting. I was stunned and surprised by the pictures and information about the meeting. I was overexcited and started to count the days after registration. 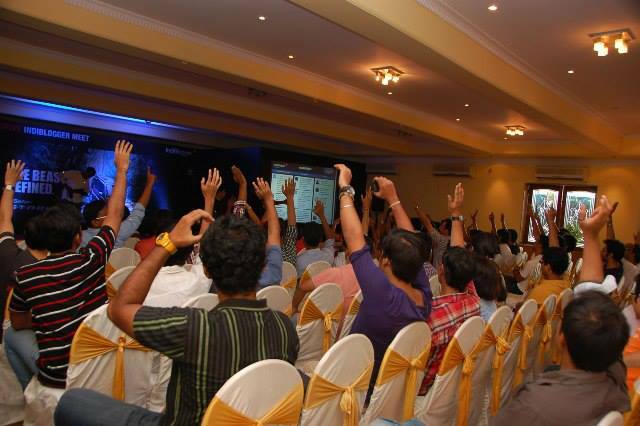 The one thing I could not believe that I was going to meet 250+ bloggers in the meeting. And the day came and I reached at the venue before the time. First I felt unnoticed but it was the turning point. The early birds came to my rescue and we became friends in few seconds. 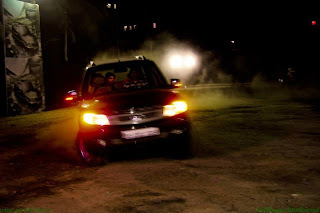 When I entered the chitrakoot grounds I could smell the air of adventure which I was going to experience in coming hours. I was expecting a flood of bloggers but traffic played its trick. And Indi team welcome us with the shower of exciting gifts from sleeping bags to cameras. Though I didn’t win any, but I really felt crisp with the thought that they were distributing some expensive stuff there for hardly any reason. 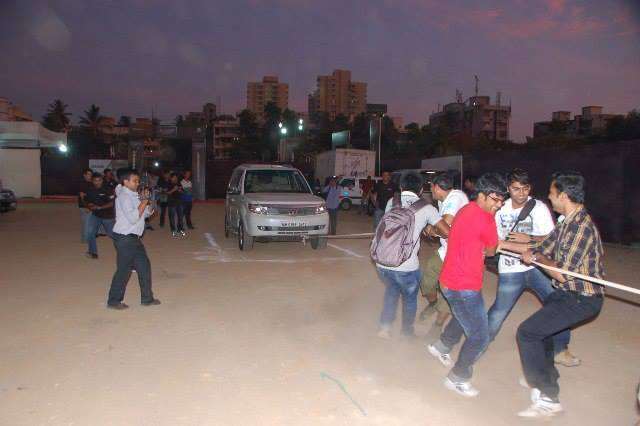 After a small introduction by everyone we were divided into random groups of twenty and headed towards the battle ground for a surprised task. We had to pull the giant TATA Safari Storme. Our group registered third best time but only top two teams qualified for the finals. Meanwhile I continued to make new friends and finding some hotshot tips from their experiences. I was happy for the fact that Tata Safari team RT my tweet, because it was my first time in my twitter history. 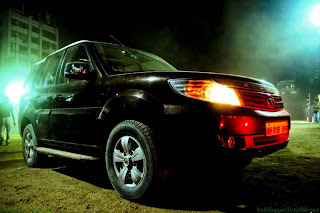 Further we headed for our dream adventure, the Tata Safari Storm extreme drive experience. I froze at the place while watching others. 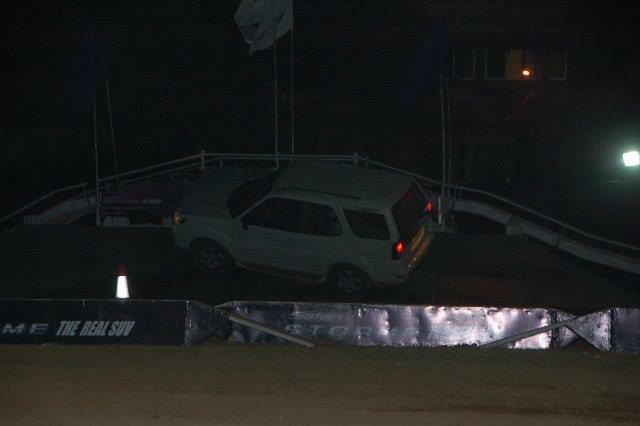 The drivers were more than drunk. 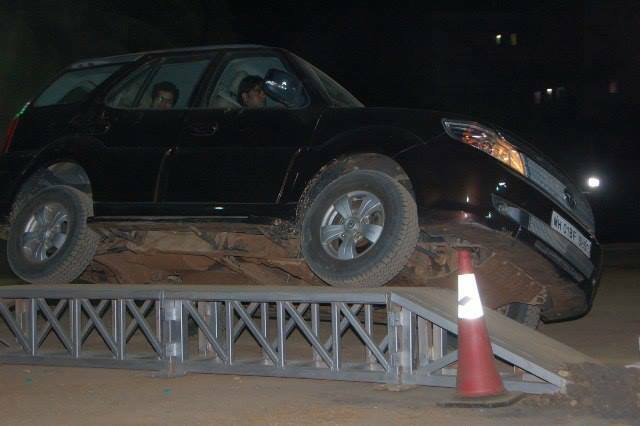 I instantly planned to join their training program to learn such a wild driving. The event was awesomely planned. We never felt that we were taking risks by getting into storme. It was so smooth and we wanted to do it again and again. After a small chitchat our stomach started to give signals to taste the mouth watering menu as told by the regulars. And it was as par our expectations. We started with ‘Paneer Tikka’ and finished with three desserts in a row. In between we really don’t remember what we ate and what we left. We received the token of appreciation in form of Indi t-shirt for attending the meet. The t-shirt was so loved that I could not take it off for next two days. This IndiMeet came as a gift for my vacations taking me into another world, a world of bloggers with different tastes and mindsets. Some write finance or some just create puzzles to puzzle you. At the end I only believed that I am doing something good and it will just get better.